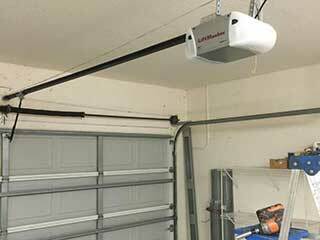 There is no denying the fact that using a garage door opener makes daily life a lot more convenient. Not only this, openers provide the extra benefit of enhanced security and protection from bad weather. Traditionally, openers operated with the help of a chain, screw or belt drive. Nowadays, they can also be equipped with direct drive, Jackshaft or DC powered options which reduce the noise level and increase the overall smoothness of the operation. Not to mention, these technologies make it easier for users to maintain the opener. Before deciding on the lift system, you should look at the pros and cons of each mechanism. For instance, screw driven models are known for their excellent value for money but are not nearly as quiet as belt driven openers. The higher the horsepower, the easier it is will be the opener to lift a heavy garage door. Among all the motors that you can find in the market, the 1/2 HP motor is the most common It is worth noting that increasing the horsepower range can result in an improvement in the durability of the model. If you have an oversized garage door which needs a bit of powerlifting, then your best option will probably be to purchase a premium door opener with a higher horsepower range. You may wish to look for added lighting features that are a step above what you would normally get with ordinary products. Larger capacity bulbs tend to illuminate brighter and last longer, potentially making your garage space feel safer. You can also go for models with motion lighting, a feature that's becoming increasingly popular in households. People with detached garages tend to find motion lighting particularly useful from a security perspective as it can alert them to the presence of an intruder on the property. Need more help when it comes to choosing the right opener for you? Just give us a call at Garage Door Repair Canyon Country!